Our mission is to accelerate our understanding of the natural world through machine vision. In order to do so, we must enable vision AI to be easily trained and deployed at scale, and furthermore deeply integrated into life sciences. Graphotate is designed to enable data management, training, and deployment of neural networks at scale, whilst our core vision technology enables laboratories to harness AI to fully digitize science. We aim to work on problems that you would be proud of talking about with your family and friends, or when you introduce yourself to someone for the first time. We value impact and seek partnerships where impact is massively scaled. In turn, our company is made of individuals with strong ambitions and a desire to apply their skills in a field that will radically hasten our scientific and technological progress for decades to come (in a measurable way). We are a small team and care about establishing positive and creative norms that keep us engaged. Your background and past experiences will have a lasting impact on our culture at this stage of growth. We involve you in the planning, development, and rollout of products, and encourage you to learn new concepts and skills. We have a surprisingly good work-life balance, valuing the achievements over time spent at your desk. 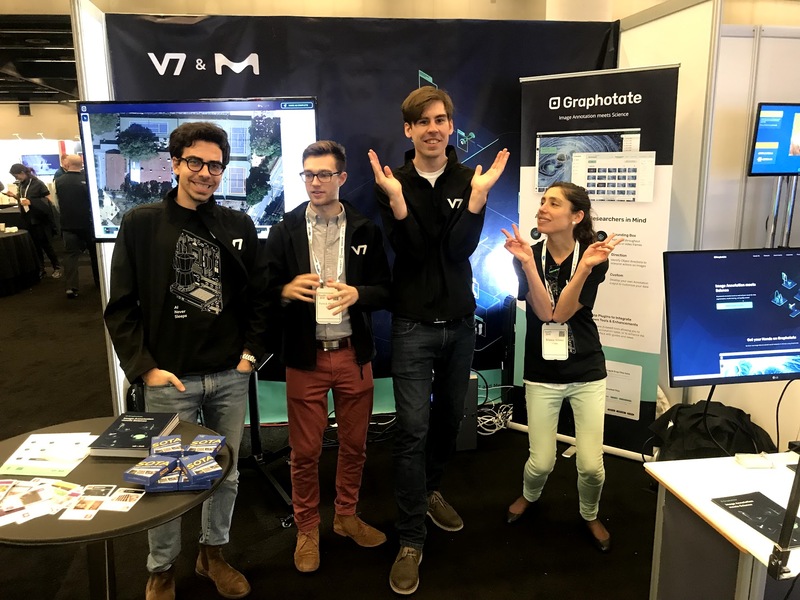 We attend machine learning conferences like NeurIPS or CVPR as a team (sometimes exhibiting) and attempt to cross pollinate ideas by interacting with other ML startups or research labs, and run a deep learning Meetup in London every 6 weeks. 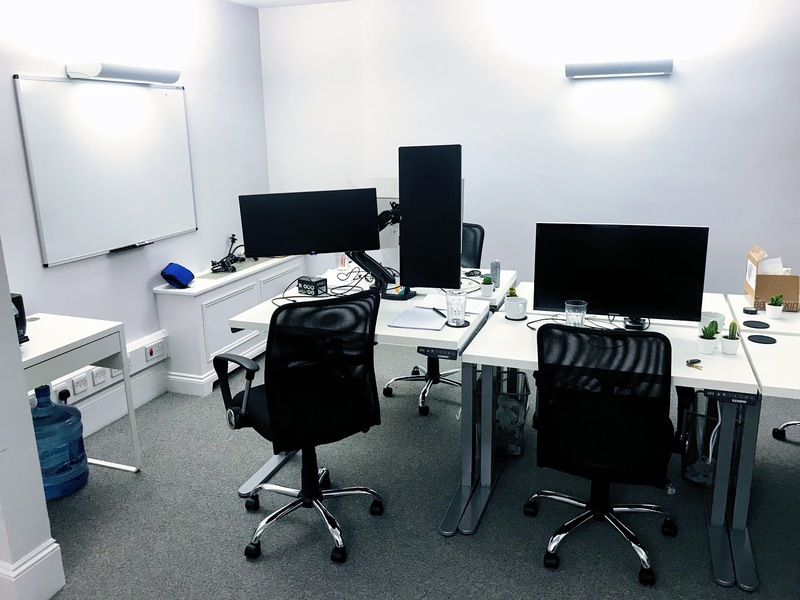 We take pride in maintaining an office environment where you'd want to go every Monday morning without hesitation with continuous improvements driven from our team. 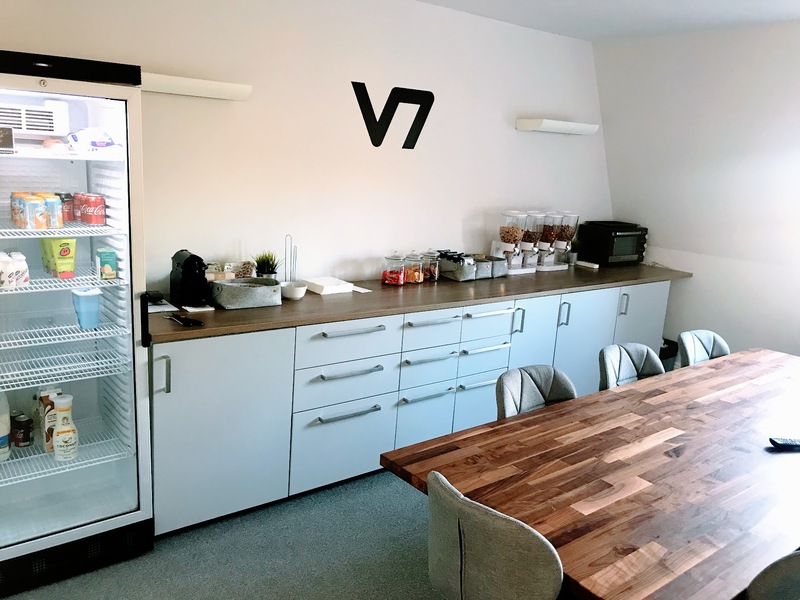 We have stocked fridges with (mostly healthy) snacks and drinks, quality coffee from a high-end machine, teas, and occasional treats brought in by members from our team. Everyone gets a standing desk with a reclining chair and 4K monitor, and any working tools they might require. More GPUs can be requested anytime for your DL work. 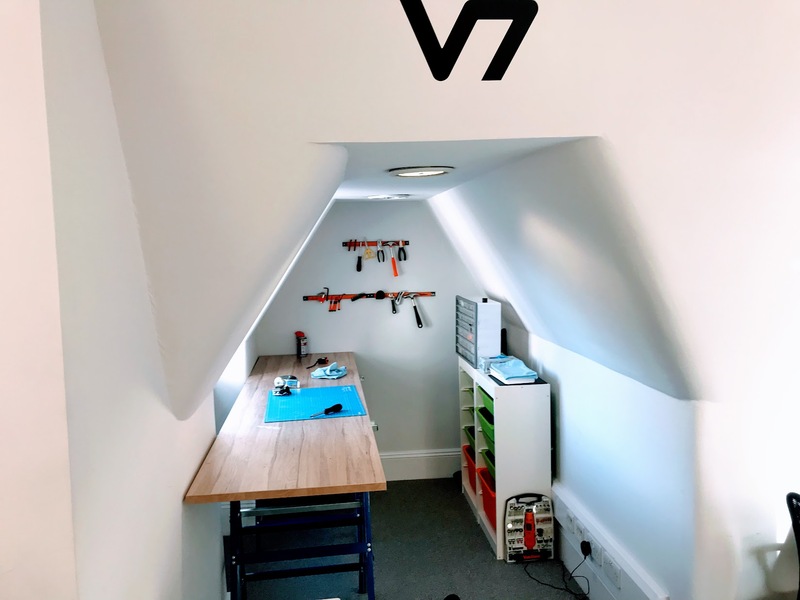 The office is quiet and well heated/cooled with plenty of 4500 kelvin lighting, whiteboards, and a small area for hardware hacking. We work near Victoria station, and once the current office is outgrown we will remain within Zone 1 close to a tube station. Nothing is more important to a young company with large goals than the excellence of its employees. There is no premium coffee roast, bean-bag room, or designer standing desk that can overshadow the exceptional conduct of your fellow colleagues. At V7 we seek the kind of team members who we would fight tooth and nail to keep at our company. If you are not one of those, we will support you in the search for new opportunities and present you with a generous severance package. We value a workplace where everyone you interact with is someone you can learn from and respect, and wish for this cycle to be unending. Curious team members are the catalyst for inventions and features that the world is yet to experience, and that V7 is poised to bring to life. Your work is primarily creative and curiosity is one of its fuels. A good team member will be able to turn detailed written instructions into a good product. An excellent team member is able to formulate instructions for themselves based on experience and intuition, and develop a great product that others would not have been able to fully describe in words. Without the rest of this team you have no ability for impact. You place V7’s accomplishments above your own and expect others to do so. Your personal preferences are passed through the filter of what is good for the company. We will grant you freedom to take time off anytime, to be flexible with your hours, and to lead your own way through a product feature. Excellent employees pick up the trash lying on the floor and don’t wait to be told what to do, they act freely and earn this perk as they don’t need fixed processes to attain high performances. Unlimited time off, just let us know when you need a break. Request any reasonable equipment, peripherals, tools, and GPUs. Fully stocked fridge and meeting room with snacks, drinks, quality coffee and teas. Sponsorship for academic and industry conferences and professional development. Central office in front of Victoria Station with standing desks and 4K monitors. An early presence in the company and the chance to have a lasting impact in our work.